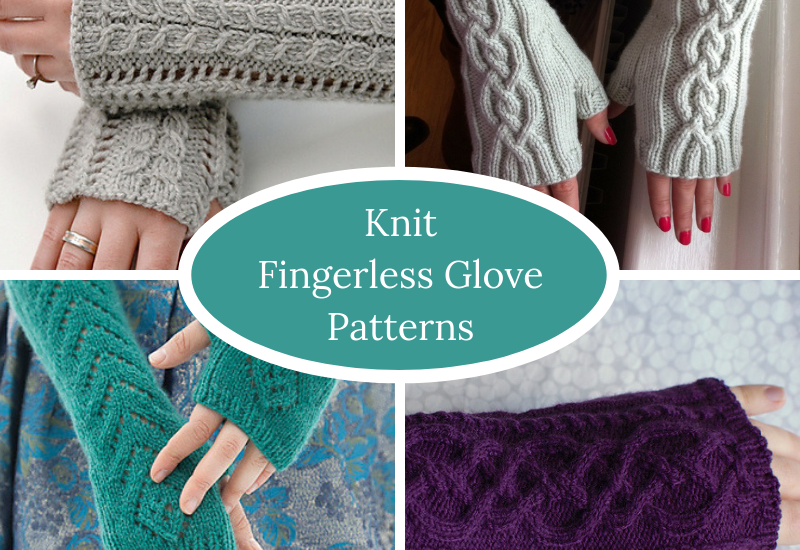 I love the look of fingerless gloves, and I love how perfect they are for keeping our hands warm in winter while knitting. (Because let’s face it—knitting in mittens is just about impossible!) 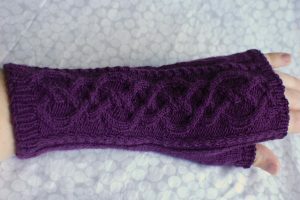 Here are a few adorable fingerless glove, aka mitt, patterns to make before the weather gets cold. These lacy and elegant mitts could dress up any outfit. These twisted cables are perfect for a cold winter! Another pair of long, lacy beauties. 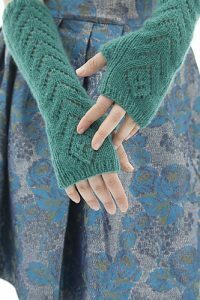 This pattern is only available as part of a book, available through the link; the designer Ms. MacDonald also has a number of other fingerless glove patterns on her Ravelry designer page. More warm, gorgeous cables. Can you tell what I want to snuggle with in winter? Want a small, simple, and stylish glove that doesn’t cover the whole arm? 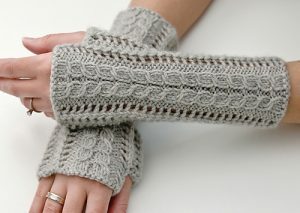 Then you may want Sian Parker’s Fable Fingerless Mitts. I need to knit myself a pair, but the problem is deciding which one… Do you have a favorite? Do you have other favorites that I didn’t include? 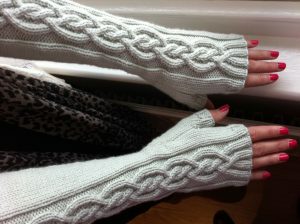 They are all gorgeous, but I love the cables in the Winter Wonderland pattern. I’m inspired to try one of these now! Aren’t they awesome? I love the cables too!